Experience a life of luxury at Lakeside Villas in Orlando, Florida. 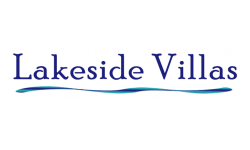 Lakeside Villas is situated next to the shores of beautiful Lake Nan and conveniently located near downtown Orlando, UCF, Full Sail, and Valencia. Our uniquely designed one and two bedroom floor plans are newly remodeled and feature stainless steel or black appliances, spacious walk-in closets, and optional extra storage. At Lakeside Villas you can enjoy boating, jet skiing, fishing and swimming year round. In addition, our community has a newly remodeled clubhouse (featuring a pool table, work station, and big screen TV). Plus, a 24-hour fitness center and meditation lawn. So call us today and come get your “Zen” on at Lakeside Villas!